We Pride Ourselves In Our Knowledge Of Auto Repair And Tire Services To Get Your Car Back On The Road. At Goodyear Tire & Auto Repair, our trusted technicians have years of experience on handling any auto repair and tire service for your vehicle. 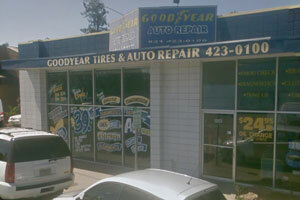 Located in Santa Cruz, CA, our state-of-the-art auto repair and tire shop is ready to serve all your auto repair and tire needs. We take pride in our knowledge of general repair and maintenance - from new tires to oil changes, from brake repair to engine repair, our professional team of nationally ASE certified technicians will make sure your car is in excellent condition.